I’ve decided to begin this blog by discussing one of the earliest realisations I had regarding comic books and their historical inspirations, that of the X-Men and the commentary it provided on the Civil Rights movements throughout America in the 1950’s and 60’s, as well as the commentary it has continued to give about numerous minorities. However, this topic is far too large to cover in a single post, so this will become a long running topic and will feature several posts on the subject. 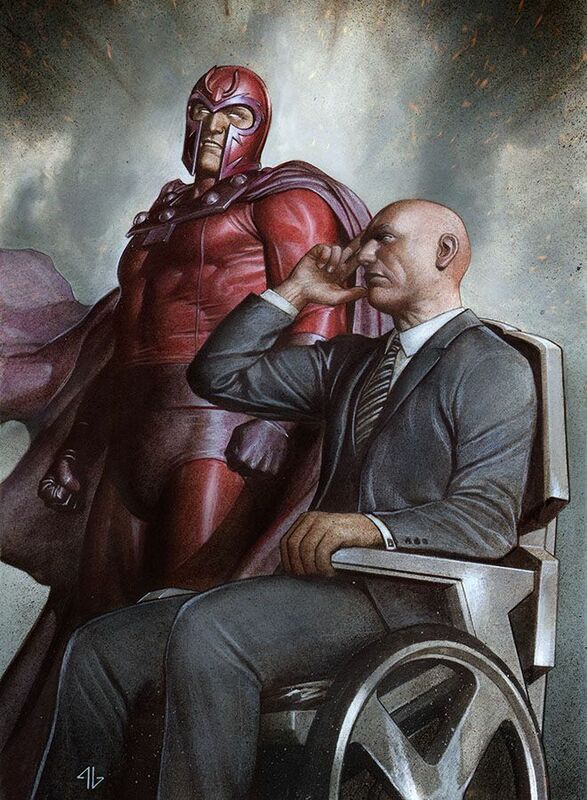 Before delving into any major thematic or story based discussions though, it seems more sensible to look at the two figures who defined the early X-Men storylines, Charles Xavier, also known as Professor X, and Magneto, born as Max Eisenhardt but better known by his alias as Erik Lensherr, both of whom seem to have been inspired in part by two of the key figures in the American Civil Rights movement. Firstly, Professor X’s inspiration appears to have been Martin Luther King Jr., a man well known for his non-violent approach in his campaign for civil rights for African-Americans. This similarity is hard to overlook, as Xavier attempts to promote peaceful cohabitation of mutants and humans, seeking to explain that although they are born different, mutantkind is neither better nor worse than humankind, and should strive to work together with them rather than force a separation between the two races. This aim of cohabitation is often referred to in the comics as Xavier’s dream, seemingly attempting to link itself to Martin Luther King’s famous ‘I have a dream’ speech. It also seems as though his name may have been inspired by another Civil Rights leader, Malcolm X, as the names bear the same structure, however in Xavier’s case this letter is simply an initial, whereas it bore no relation to Malcolm X’s real name, Malcolm Little. Malcolm X’s much more militaristic approach to obtaining fair rights for African Americans seems to have been used for the main antagonist of the X-Men comics, Magneto. His approach to obtaining rights for mutants by establishing them as a superior form of humanity is highly comparable to the attempts by Malcolm X to create a form of black supremacy, though both still propose that this is achieved alongside segregation of their race from those who have oppressed them throughout history. Similarly, the response to Magneto from both humans and some mutants is to fear his ideas and his methods, something that also happened in response to the preaching of Malcolm X.
It’s clear from the fact that two of the main cast of the early X-Men comics were based on such prominent figures in the American Civil Rights movements and debates that the intention of such a comic was always to provide a commentary on the plight of minorities, particularly in the USA. That the more likeable of the two characters was based on Martin Luther King Jr. also highlights that part of Marvel’s early mission was to promote inclusion, acceptance and tolerance, and continue to strive for this even in their comics today. Previous Post Welcome fellow nerds/geeks! Very interesting parallels you’ve mentioned. I’m not all that familiar with comic books, but hopefully your blog will give me some insight into the stories and characters. Looking forward to it.